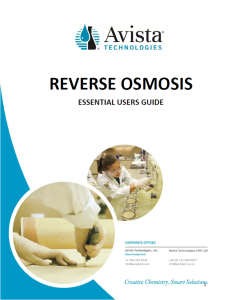 Online Tools | Avista Technologies, Inc.
Our ability to impart useful product information and use guidelines is essential to the success of our customers. The online resource center includes practical tools for troubleshooting and learning about best practices. Each tool includes an introduction to the challenge to help you select information that may be most relevant to you. 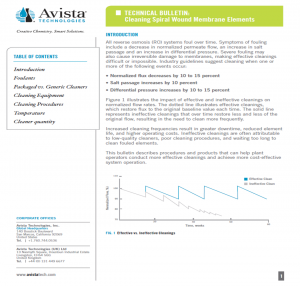 Membrane scaling triggered an onsite visit by Avista. 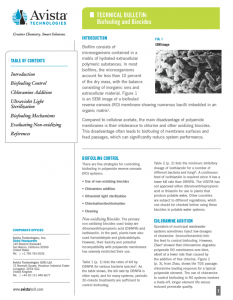 Review of operations indicated that membrane cleaning occurred every 2 weeks. An updated water analysis revealed that the well water quality had changed with a marked increase in sulfate. 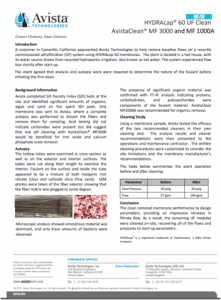 A potable water treatment plant struggled to understand differences in fouling depositions between the lead and tail end membranes of their system, as well as how to optimize their pretreatment and cleaning chemicals. 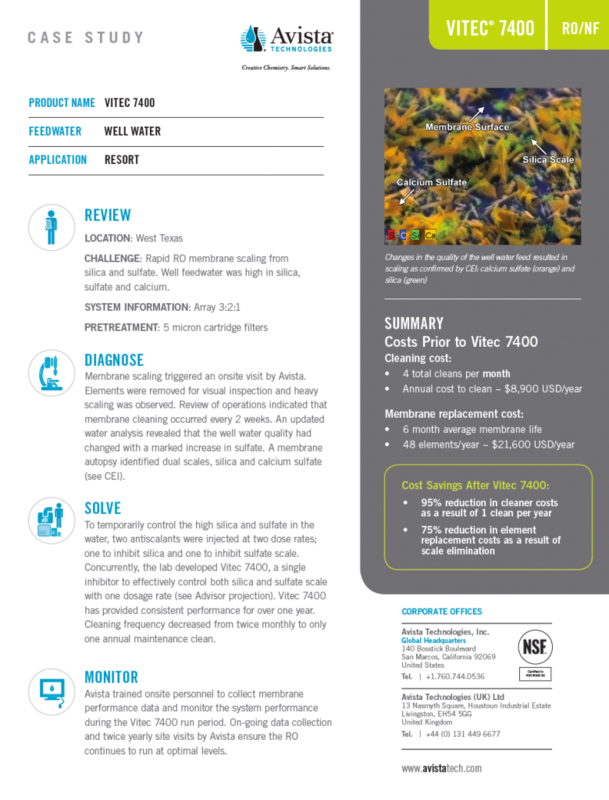 The Avista Black Box was used to troubleshoot and apply the right chemistry, resulting in cost savings for the customer. 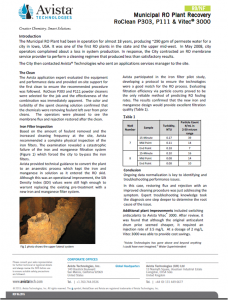 A Municipal Site Reduces Cleaning Frequency and Prevents Chlorine Damage Megan Lee, Laboratory Services Manager, walks through the challenges faced by a system misdiagnosed with biofouling and the steps taken to solve their issue. 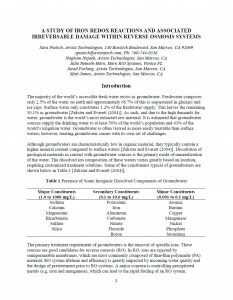 Reverse osmosis systems relying on high metal groundwater feed can run for years without membrane cleaning as long as the operating conditions remain anaerobic. However, if an event introduces oxygen into the system, the membranes can rapidly foul and, in some cases, become permanently damaged. 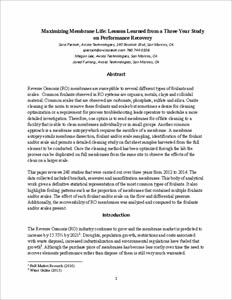 Maximizing Membrane Life: Lessons Learned from a Three Year Study on Performance Recovery. This paper reviews 248 studies that were carried out over three years from 2012 to 2014. The data collected included brackish, seawater and nanofiltration membranes. This body of analytical work gives a definitive statistical representation of the most common types of foulants. It also highlights fouling patterns such as the proportion of membranes that contained multiple foulants and/or scales. The effect of each foulant and/or scale on the flow and differential pressure. Additionally, the recoverability of RO membranes was analyzed and compared to the foulants and/or scales present. 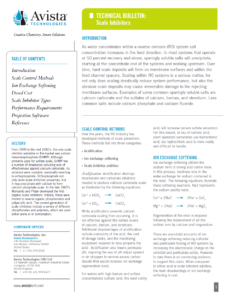 Advancements In Scaling Calculations: An in depth look at antiscalant dosing for stressed waters and high recovery systems. The results of extensive laboratory studies are discussed to demonstrate novel approaches and techniques that confirm not all chemistries for preventing scale are the same. Laboratory studies will include looking at various chemistries commonly used for RO antiscalants. Field data will also be reviewed, demonstrating the importance of proper scaling calculations and antiscalant dosing for optimal system performance, and to keep downstream discharge lines free of scale as well. 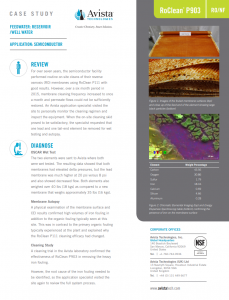 This semiconductor facility saw an increase in cleaning frequency over a six month period. 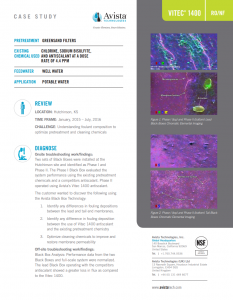 A physical examination of the membrane surface and CEI results confirmed high volumes of iron fouling in addition to the organic fouling typically seen at this site. 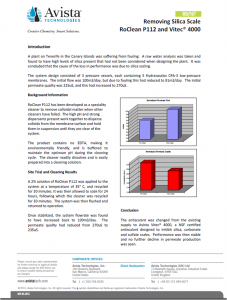 This was in contrast to the primary organic fouling typically experienced at the plant. The water treatment plant was experiencing a heavy buildup of scale on the RO plant’s concentrate lines and transfer wells. Maintaining the integrity of the RO performance proved difficult due to the continuous scaling condition present on the tail end of the RO system. 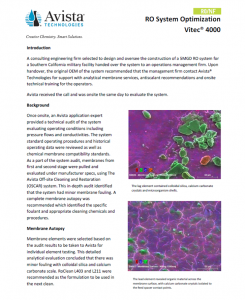 An operations management firm, received a recommendation for the original OEM of the system to contact Avista® Technologies for support with analytical membrane services, antiscalant recommendations and onsite technical training for the operators. 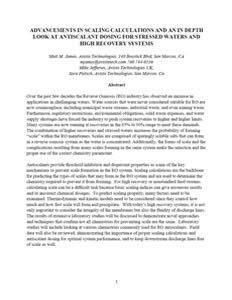 A brackish water reverse osmosis plant in East Spain suffered a significant loss of performance, with permeate flow rate dropping 40% with a consequent drop in recovery from 65% to 45%. 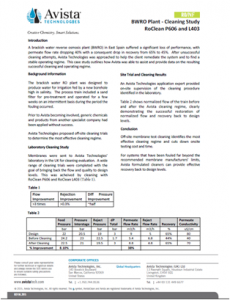 A reverse osmosis plant (BWRO) experienced an increase in product water demand resulting in changes to feed water quality, stress on the pre-treatment system and more rapid membrane fouling. An Ultrafilitration system, using HYDRAcap® 60 membranes, located in a hot house with its water source drawn from recycled hydroponics irrigation, experienced flow loss shortly after start-up. City operators complained about a loss in system production and contracted an RO membrane service provider to perform a cleaning regimen that produced less than satisfactory results. A plant on Tenerife in the Canary Islands found high levels of silica present that had not been considered when designing the plant. Compared to cellulose acetate, the main disadvantage of polyamide membranes is their intolerance to chlorine and other oxidizing biocides. This disadvantage often leads to biofouling of membrane surfaces and feed passages, which can significantly reduce system performance. 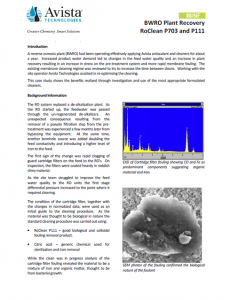 Micromedia Filtration (MMF) is the most economical means of removing colloids from RO feed water. However, to be effective, in-line coagulation is required upstream of the filters. 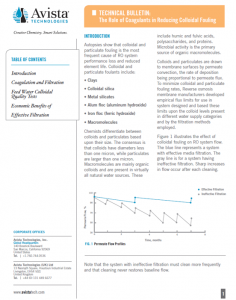 With coagulation, colloid removal rates of 95 to 99 percent are typical. Scaling within RO systems is a serious matter. 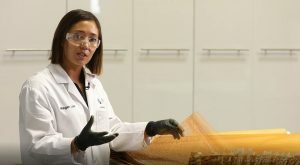 Not only does scaling drastically reduce system performance, but the abrasive scale deposits may also cause irreversible damage to the rejecting membrane surfaces. Increased cleaning frequencies result in greater downtime, reduced element life, and higher operating costs. Ineffective cleanings are often attributable to low-quality cleaners, poor cleaning procedures, and waiting too long to clean fouled elements.